from the editor: For most of us fashion girls, coffee is one of the daily essentials, and one of my choice drinks throughout the day. During last fashion week, I was asked to try “a new high to hydrating” iced-coffee and coconut water chilled drink from RealBenz. I didn’t have time to try out a beverage much less carry it in my bag during the shows, so I passed on trying the drinks until a month or so ago. I’ve never been particularly fond of coconut water, and though I’ve tried a variety, I hadn’t quite gotten the yum factor of the phenomenon. But, as friends and family often remind me to cut down on the daily dose of my favored caffeinated beverage, I gave the coffee + coconut combo drink a go- finally. After what seems to have been weeks sitting in the fridge, the Dark Roast and Cappuccino ‘nutrient enhanced’ beverages were calling me. Still, I continued to get my usual afternoon black hot coffee with lots of (natural) sugar, and thought, I’ll try it tomorrow. It was hard to get past the memory of coconut water “aftertaste” from the cardboard containers, and- these drinks weren’t my preferred “black” but contained some milk. Finally, on a recent hot day in NYC, I gave it a go… and it was a shockingly good drink! Smooth, tasty, and I wasn’t bothered by the milk or coconut water flavor. In fact, it seemed the coconut water made the drink smoother and less heavy than what I remember a cold coffee beverage tasting like. Now for the energy take – it’s not like having a starbucks tall black coffee with 5 sugars at 3pm, but it is just a little jolt of energy without getting antsy in the afternoon. About 20% coconut water, all natural ingredients + 70 calories sounds pretty good, and finally I get some coconut water in my system without having to reach to that zone of “healthy drinks”. A caffeinated boost while simultaneously hydrating the body – no artificial flavorings, colorings, sweeteners or preservatives. 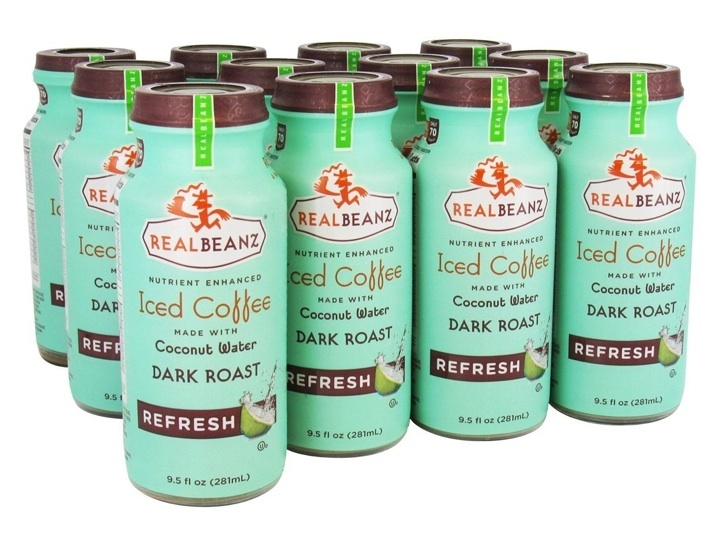 Yay… my kind of coconut water drink for energy- the dark roast flavor. Afternoon delight: COFFEE + COCONUT water written by Brigitte Segura.